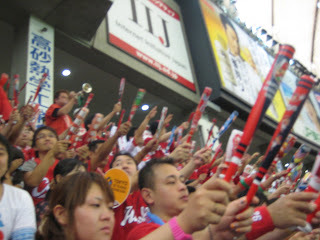 On saturday we found ourselves becoming fans of the Hiroshima Carps. 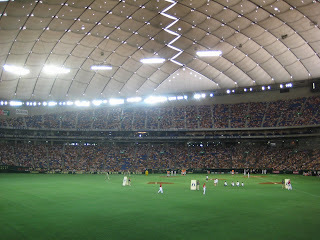 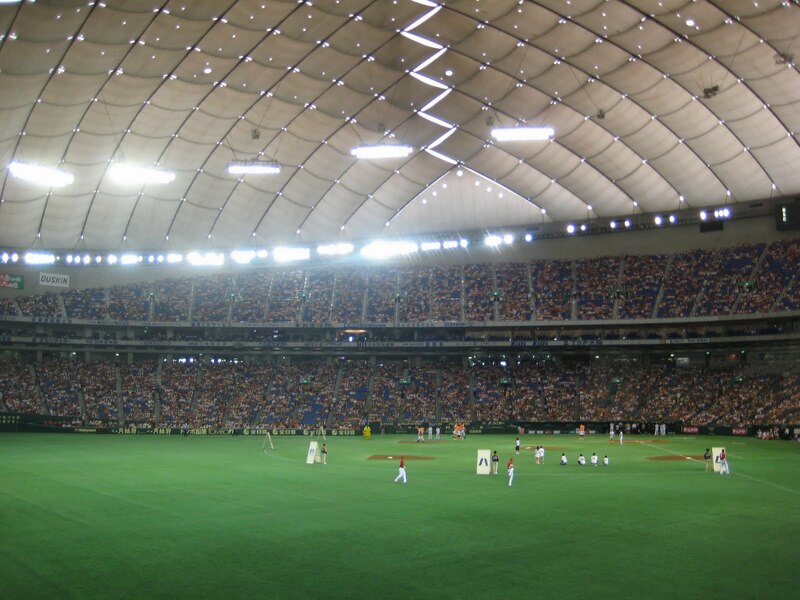 Our friends had two free tickets to a baseball game at the awesome Tokyo Dome and had invited us along to partake. The chance of watching some baseball in an air conditioned space whilst troughing hotdogs and quaffing beer was just too tempting to pass up, so we trotted off to meet them there. 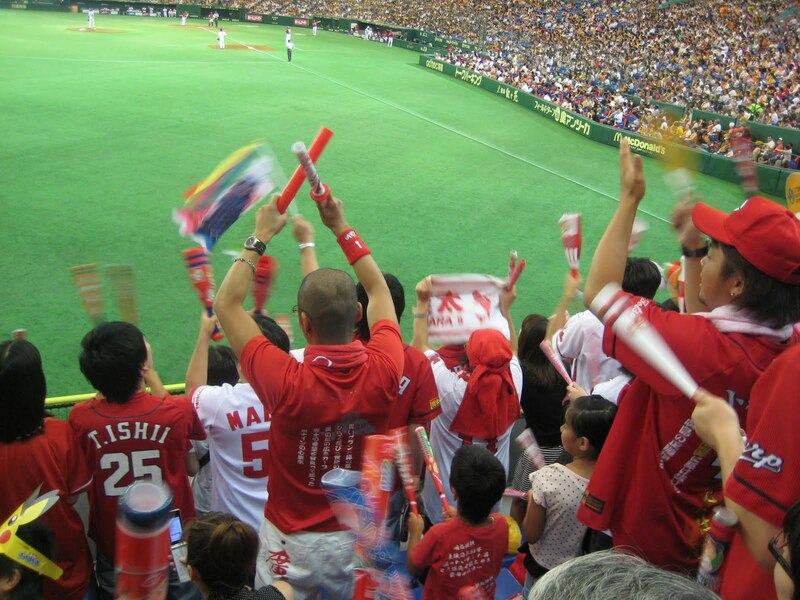 What we didn't realise was that we were going to be in the away team section and suddenly found ourselves supporting the Hiroshima Carps rather than the Tokyo Giants. 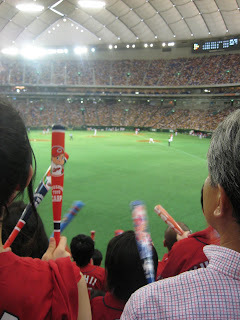 I have to say, it was a lot of fun. There were special songs/chants for each of the players and they's brought along trumpeters, drummers, flag wavers and even a coach to help them chant! Sadly the carps lost, but the fans remained upbeat to the end. 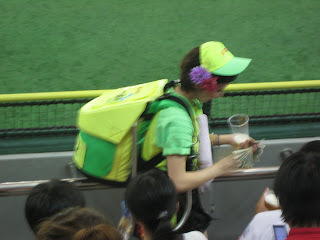 We love the beer girls that come around selling beer from a back pack with a hose attached, and a wad of notes in their hands.